AFFCO Supply carries a large assortment of iron and steel, fasteners, welding supplies, industrial tools, ranching equipment and supplies and general industrial hardware. To complement and expedite AFFCO's manufacturing capabilities, a warehouse of raw materials was opened. The warehouse eventually, by public demand, was opened opened to the public, and became AFFCO Supply. Over the years, stock has been expanded to meet the increasing demands of its customers and it has become a major industrial supply store for the area and beyond. 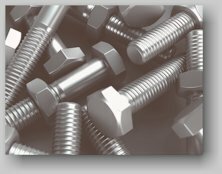 AFFCO Supply carries a large assortment of iron and steel, fasteners, welding supplies, industrial tools, ranching equipment and supplies and general industrial hardware. The facility is open from 7:30 AM to 5:00 PM Monday through Friday. AFFCO Supply extends raw materials, products and tools to the manufacturing and service sectors of AFFCO and stocks a wide assortment of industrial supplies, products, materials and tools. The cost reduction enjoyed by AFFCO Supply, as a result of its bulk purchasing power resulting from the large manufacturing requirement, is passed onto the customer.